Now that we’ve covered the basics of periodontal disease, the symptoms, and how the infection can affect the rest of your body, all of us at The Center for Cosmetic & Restorative Dentistry want to talk about the importance of prevention. Preventing gum disease is the best way to keep your mouth, and your body, safe from the harmful bacteria found in periodontal disease. And prevention is actually quite simple. 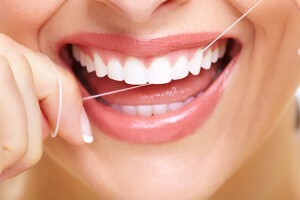 So how do you care for your gums to prevent gum disease before it starts? Brush 2-3 times a day for 2-3 minutes with a soft toothbrush and an anti-plaque toothpaste. Floss once a day, and rinse twice a day with a good mouthwash. Avoid sticky sweet foods – prolonged contact can damage teeth. Don’t smoke. Using tobacco multiplies your risk of gum disease by six times and makes it harder to treat. Combining all of these practices will greatly reduce your chances of developing gum disease in the first place. In fact, brushing and flossing – daily habits that take around five minutes – can actually add years to your life! Most importantly, visiting your dentist in Chesapeake at least twice a year for cleanings and thorough exams is the best way to make sure that periodontal disease is not present and to ensure a healthy overall body. If we do find active periodontal disease, don’t worry. As scary as it sounds, it is relatively easy to treat and even easier if caught early. If you’re due for a checkup or if you’re concerned about your gum health, call us at 866-861-7962 today. We’ll perform an in-depth exam. And together, we can stop gum disease and keep you healthy for life.